DO I NEED AN APPOINTMENT FOR AN ESTIMATE? 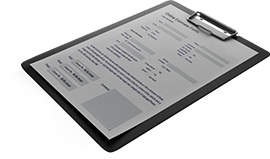 We do prefer to have appointments for estimates. We take appointments from 8:00 am to 5:00 pm Monday thru Friday. Call us at 763-425-8444. Please go to the services section of our webpage and click on estimates. DO I HAVE TO GO WHERE MY INSURANCE COMPANY TELLS ME TO GO? NO. It is your car and you can have the right to have it repaired anywhere you choose. Some insurance companies may try to steer you to another shop. Although this is illegal for them to do, it still happens. Some of things that they will tell you is... "If you don’t take your car to one of our shops, we will not guarantee the work." These statements are a way that they can scare you into taking your car somewhere they want instead of where you want. We offer a lifetime warranty on all collision repairs performed at our shop for as long as you own the vehicle. Whether you want Advanced Collision Repair to fix your car or someone else, remember it is your choice. Many insurance companies have Direct Repair Networks (DRP’s). These networks are relationships between the collision repair facility and the insurance companies where the collision repair shop acts as your insurance adjuster. The shop writes the estimate and transfers photographs to the insurance company and bills the insurance according to preset guidelines. These networks are not considered steering as there are usually several shops in an area to choose from. However, if the shop you want to use is not on the insurance companies direct repair network, you can still use the shop of YOUR CHOICE. Yes, we would be happy to provide this service to you. We want each customer's visit to be a positive experience and will work diligently towards that goal. We provide a pickup and delivery service. Yes. 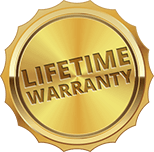 Advanced Collision Repair guarantees all repairs with a Lifetime Warranty. Your advisor can give you an estimate of the time it will take to complete the repairs to your vehicle. Be sure to check with your advisor for the specifics on your vehicle. 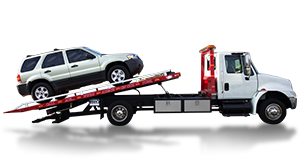 You will be notified when your vehicle is ready to be picked up. Feel free to call or e-mail your advisor during the repair process if you have questions or concerns. The amount of deductible that you will be responsible for is determined by your insurance policy. If you were not at fault, your insurance company most likely will waive your deductible. Insurance companies determine fault by your account of the accident when you make the claim, and by reviewing the accident report filed with the police department. If you aren't sure about your deductible, you can call your agent and he can tell you whether your insurance company has waived your deductible or whether you will be responsible to pay this when you pick up your vehicle. If your deductible is not waived, it will be your responsibility to pay. Advanced Collision Repair when you pick up your vehicle. If you aren't sure about your deductible, you can call your agent and he can tell you whether your insurance company has waived your deductible or whether it will be your responsibility.. The easiest and most convenient way to pay for your portion of the repairs to your vehicle is with a major credit card. We accept Visa& MasterCard. Of course, cash and your personal checks (up to $500.00) are always welcome. Today's modern factory finishes incorporate multiple layers of highly specialized paints. Advanced Collision Repair has made a major investment in the finest paint system available and constantly upgrades its technology and equipment to ensure that each vehicle's paint matches. We take special pride in our ability to match factory finishes as the final step in restoring your vehicle to it’s pre-loss condition. WHEN IS MY VEHICLE CONSIDERED A TOTAL LOSS? Once the estimate for repairs reaches 70% of the vehicles retail value, your car could be deemed as an economic total loss and could be branded as a salvage title. The retail value of your vehicle is determined by many factors including market area, pre existing damage, mileage and major refurbishments done to your vehicle. You can get an idea on the value of you vehicle by visiting www.nada.com. IF MY VEHICLE'S FRAME IS DAMAGED IS IT A TOTAL LOSS? No. A car is a total loss when the price of repairs exceeds the insurance company's determined value of your vehicle. Nowadays, most cars are built using uni-body (frame and body as one) construction. Our highly skilled technicians, with the aid of our state-of the-art computer measuring system, can return your vehicle to its original factory specifications. Wash your vehicle at a touchless carwash. Do not use a commercial car wash with stiff brushes or sponges could mar the finish and damage the surface. Do not spill gasoline, oil, antifreeze, transmission fluid, or windshield solvent on the new finish. Do not wax or polish the vehicle. This will allow the finish to dry and harden completely. We will send you a card when it is time to wax your vehicle. WHY DOES MY ESTIMATE INCLUDE PARTS OTHER THAN WHAT MY MANUFACTURER MAKES? All our customer vehicles receive visual inspection for any other problems we notice just to bring to your attention.
" Awesome customer support. Body damage to a car can be a hassle. From the moment you bring your car until the moment you pick it up and afterward, Advanced Collision Repair really makes the process easy. The things I appreciated most besides the amazing work they do are free loaner cars, daily check ins, fast quality service, and a car wash/ vacuum. There's a reason these guys have a true 5 star rating. I highly encourage you check them out. " With our online estimate we can work with you and your insurance provider. Available round the clock to bring your vehicle to our shop. 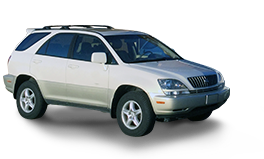 Drive in one of our loaner cars at no charge while we work on your vehicle. We have you covered. All of our repairs come with a written lifetime warranty.